#258: Author C.D. Lane, is Earth flat? 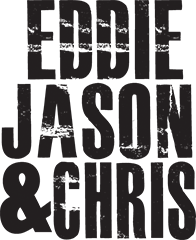 This week on Eddie Jason & Chris, author C.D. Lane discusses his new book and life after diagnosis with HIV and his battle against the disease and the stigma around it. Plus Samantha Scarlette welcomes John Davis, Secretary of the Flat Earth Society to discuss the flat Earth theory. First up, author C.D. Lane. In his honest and unfiltered story, he openly tells about the lifestyle choices that left him vulnerable to contracting HIV, and how he kept his status under wraps from his workmates and acquaintances, only exposing his secret to those he would potentially put at risk. He puts a human face on the day-to-day struggle of living with HIV, as he fights to overcome new symptoms, and his ability to find love and a positive outlook amid the most challenging of circumstances. Listen in as EJC talk to Lane about his life’s challenges and battling HIV. Then, Samantha Scarlette welcomes John Davis of the Flat Earth Society. According to their website, “The Flat Earth Society mans the guns against oppression of thought and the Globularist lies of a new age. Standing with reason we offer a home to those wayward thinkers that march bravely on with REASON and TRUTH in recognizing the TRUE shape of the Earth – Flat.” Is Earth really flat? Find out!